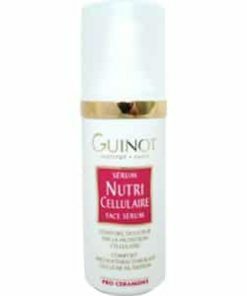 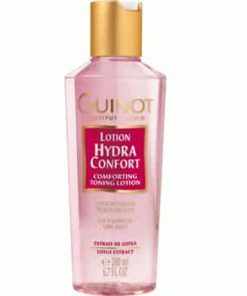 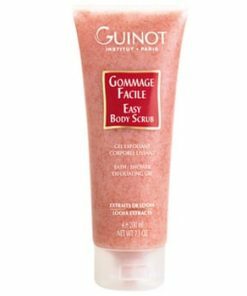 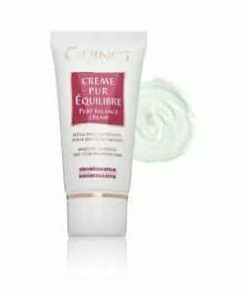 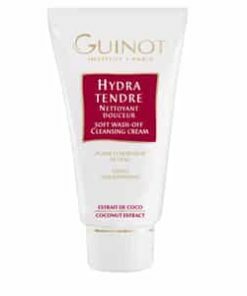 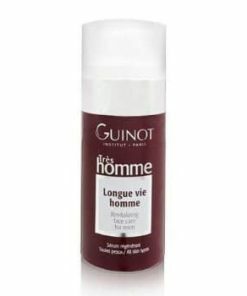 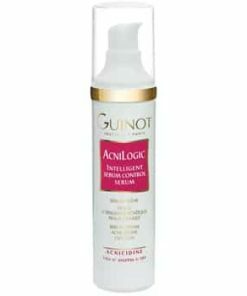 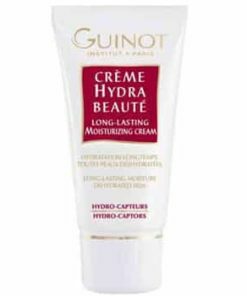 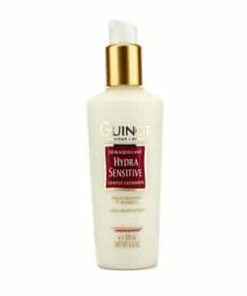 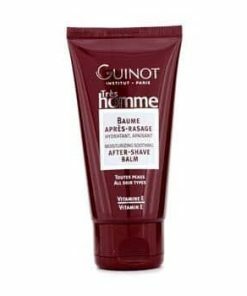 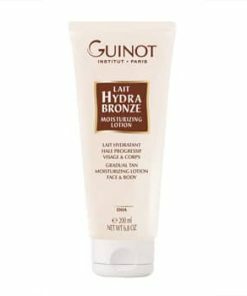 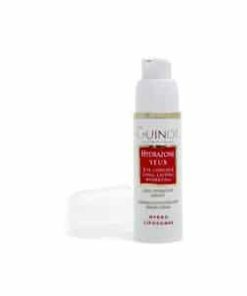 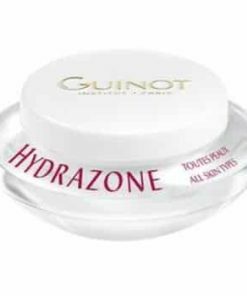 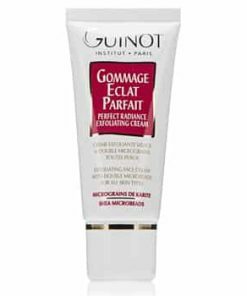 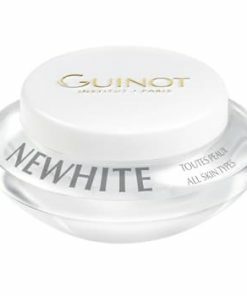 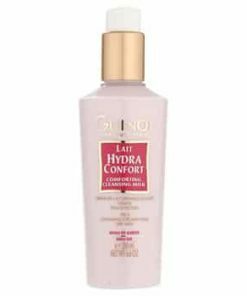 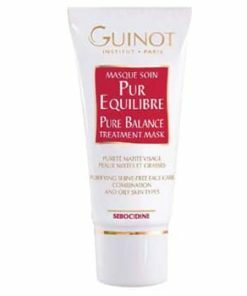 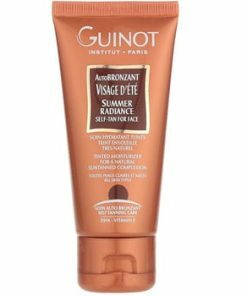 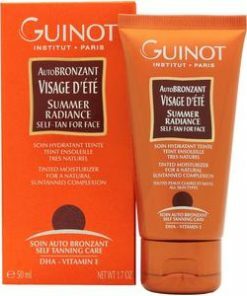 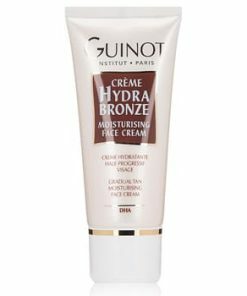 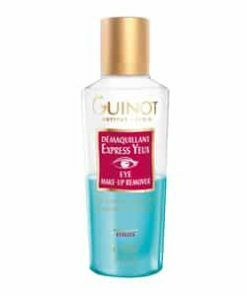 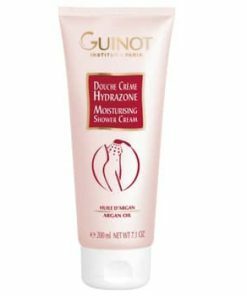 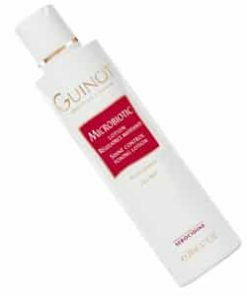 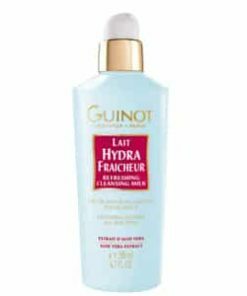 Guinot Lotion Hydra Fraicheur – Refreshing Toning Lotion replenishes the crucial moisture barrier of the skin in a gentle and soothing formula. 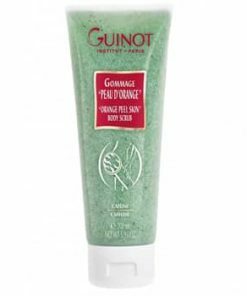 Ginseng tones and renews the skin, while aloe hydrates and soothes. 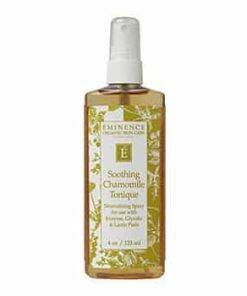 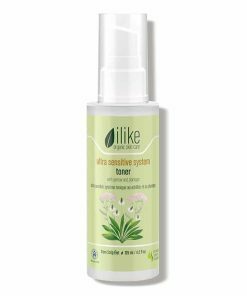 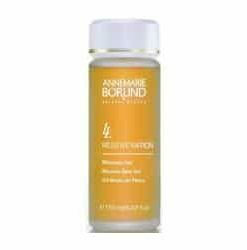 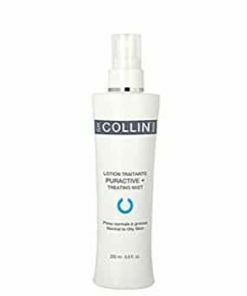 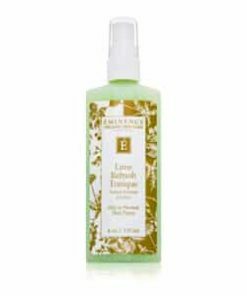 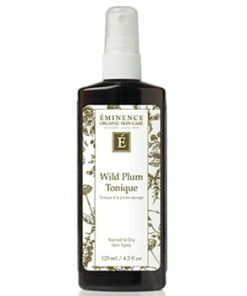 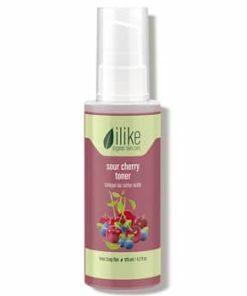 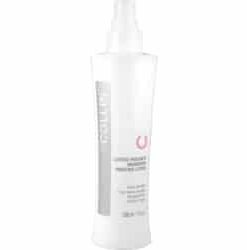 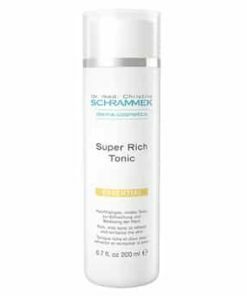 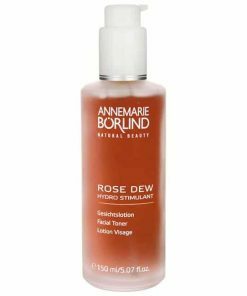 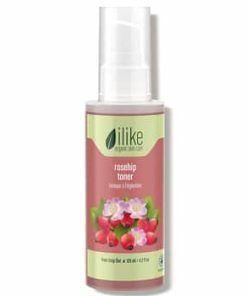 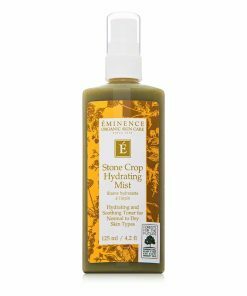 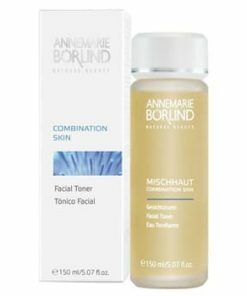 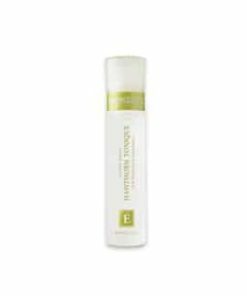 This alcohol-free toner also protects, refreshes and renews the skin after it is cleaned. 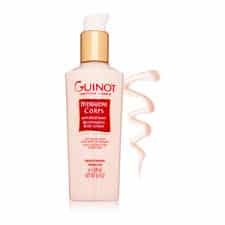 Put the finishing touches on your cleansing ritual with Guinot Refreshing Toning Lotion. 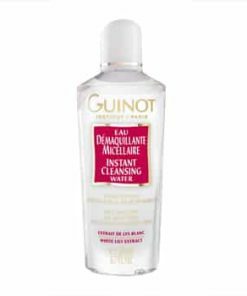 Formulated with Ginseng and Aloe Vera Extracts, this invigorating toner delivers a non-irritating, final cleanse, eliminating all traces of impurities and makeup. 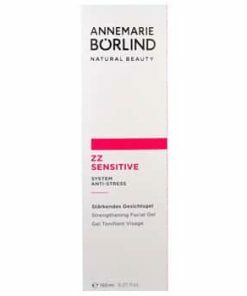 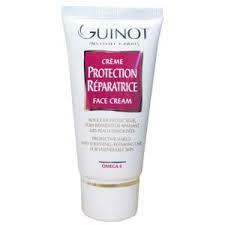 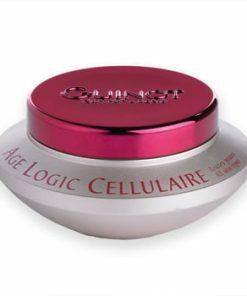 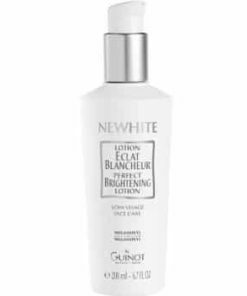 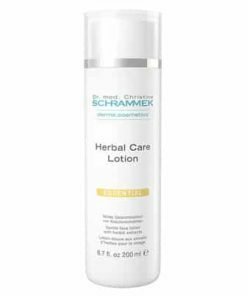 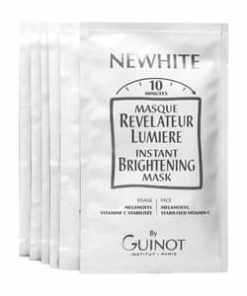 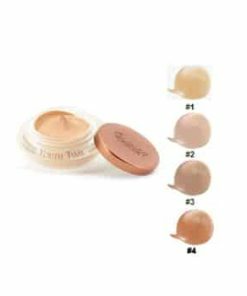 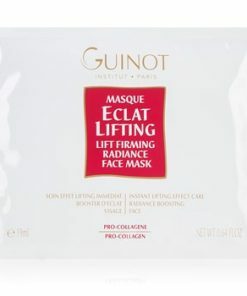 This enables the skin to breathe and better absorb subsequent products in your beauty routine. 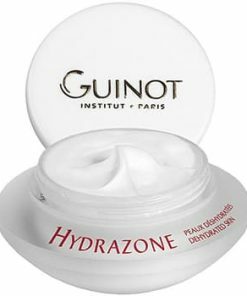 Skin is left looking and feeling refined, smoother, incredibly refreshed, and natural pH is restored. 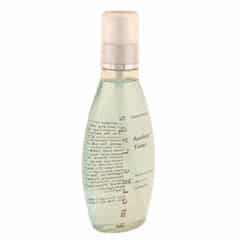 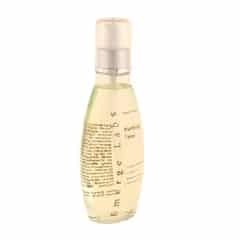 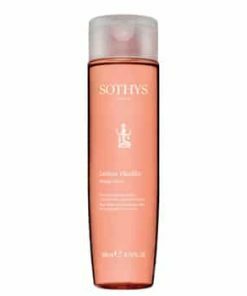 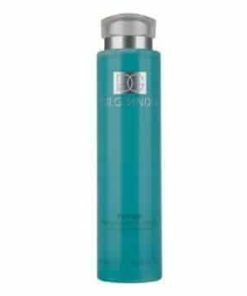 Mild action toner rids any remaining traces of makeup. 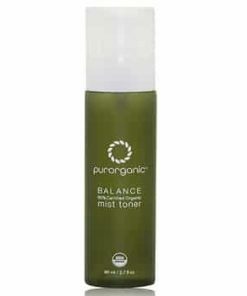 Restores skin’s natural pH balance. 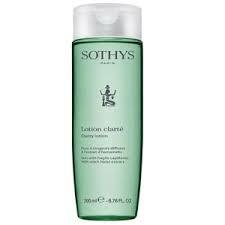 Completes the cleansing ritual, allowing skin to breathe and enhance subsequent product absorption. 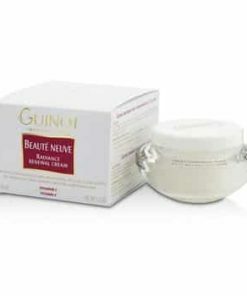 Calms, cools and soothes skin. 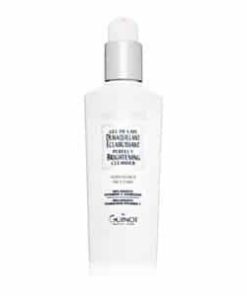 Surfectant-free, will not cause irritation. 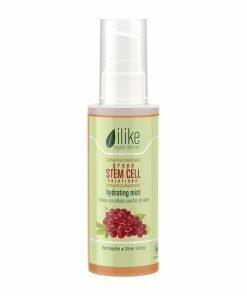 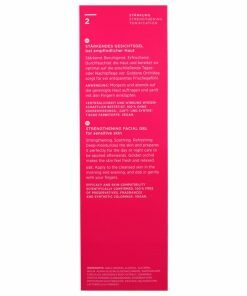 Infuses skin with regenerating, anti-aging ingredients. 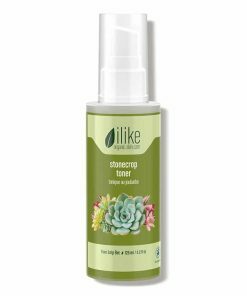 Aloe Vera extract deeply moisturizes and boots cellular turnover. 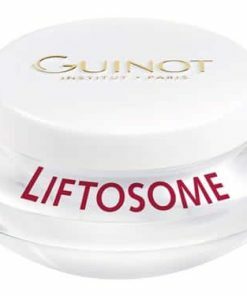 Ginseng extract provides toning, renewing, age-defying benefits. 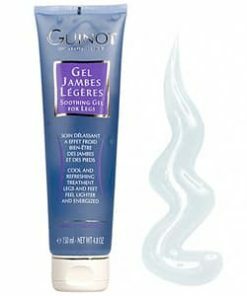 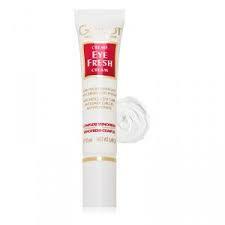 Refreshes, hydrates and softens skin. 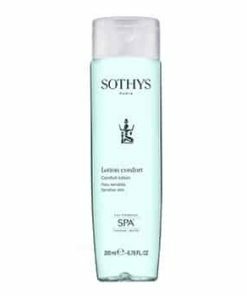 Using a cotton wool pad, apply lotion to face and neck. 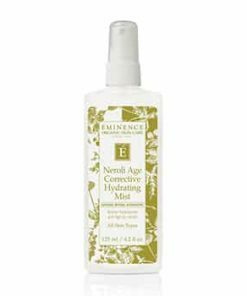 Use a.m. and p.m. after cleansing. 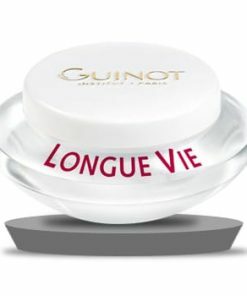 Aloe Vera Extract, Ginseng Exctact. 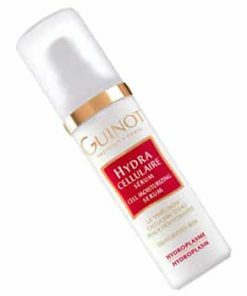 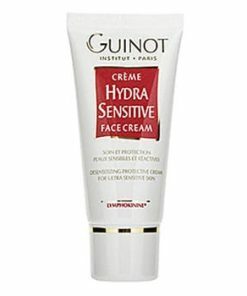 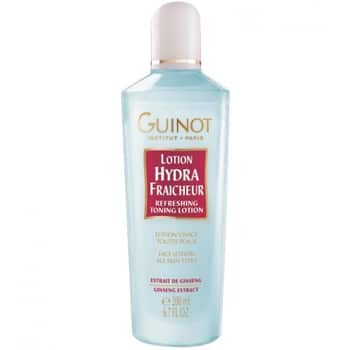 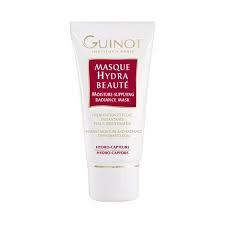 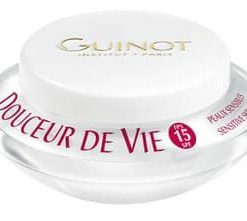 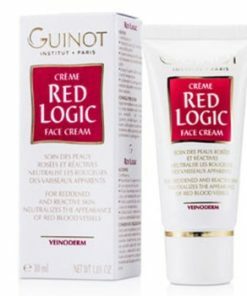 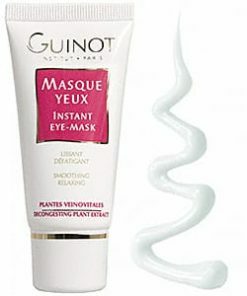 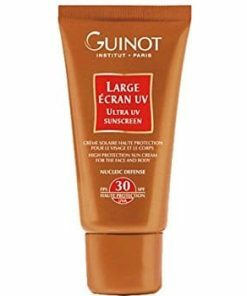 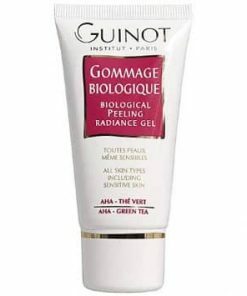 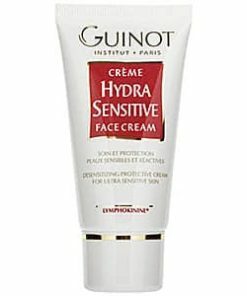 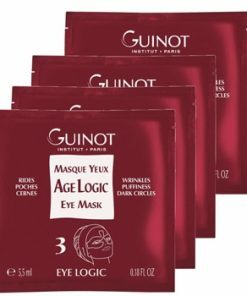 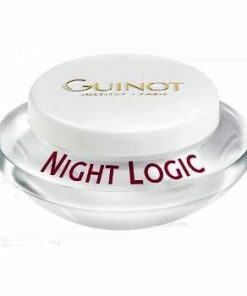 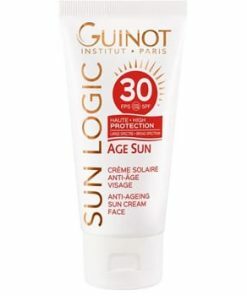 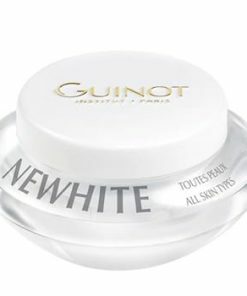 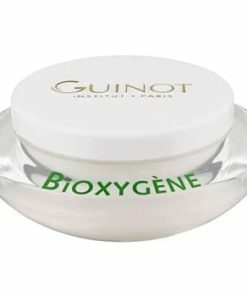 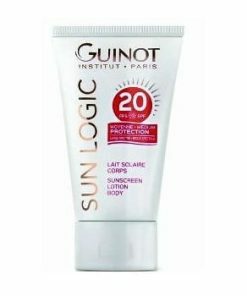 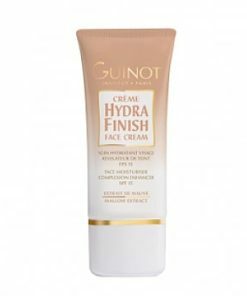 Guinot Lotion Hydra Fraicheur contains: Water (Aqua), Rosa Centifolia Flower Water, PEG-8, Butylene GLycol, PPG-1-PEG-9 Lauryl Glycol Ether, Urea, Phenoxyethanol, Fragrance (Parfum), Methylparaben, Propylene Glycol, Panthenol, Trisodium EDTA, Butylparaben, Ethylparaben, Isobutylparaben, Propylparaben, Benzyl Benzoate, Hydroxyisohexyl 3-Cyclohexene Carboxaldehyde, Amyl Cinnamal, Red 4 (CI 14700), Sodium Methylparaben, Sodium Dehydroacetate, Sorbic Acid, Tetrasodium EDTA. 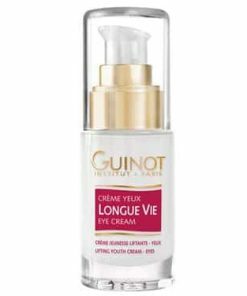 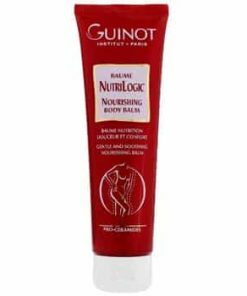 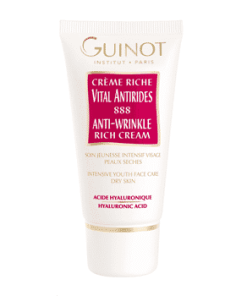 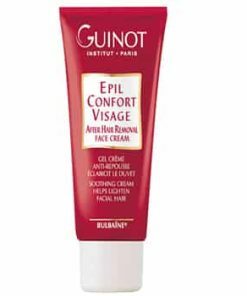 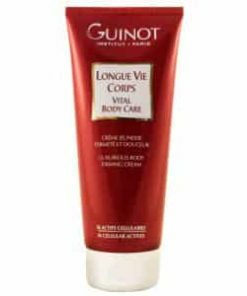 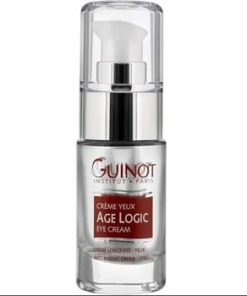 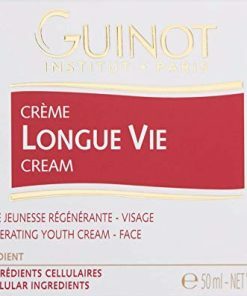 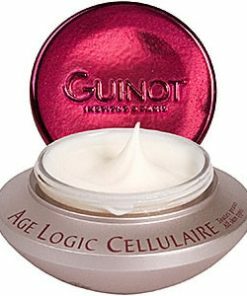 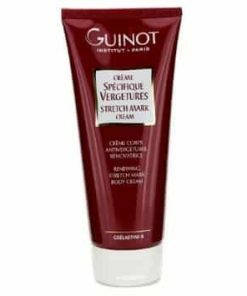 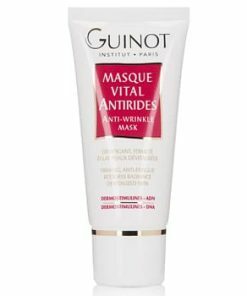 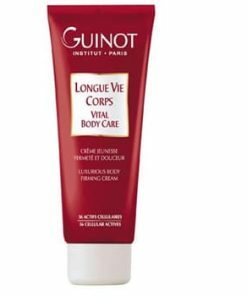 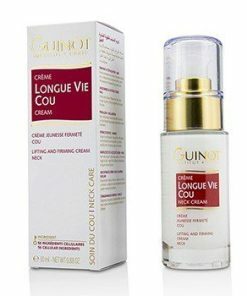 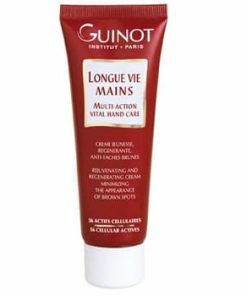 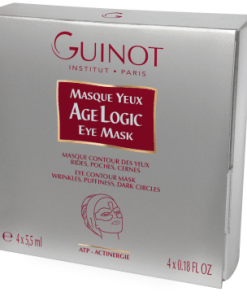 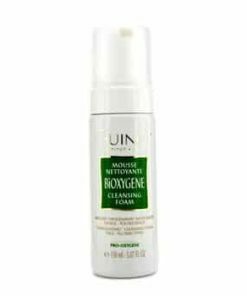 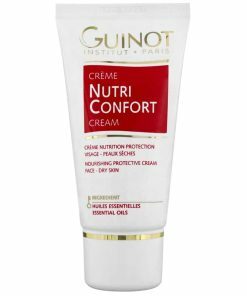 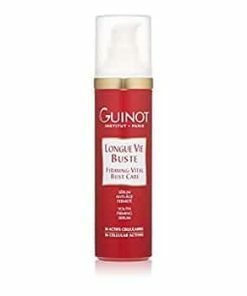 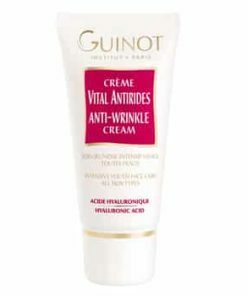 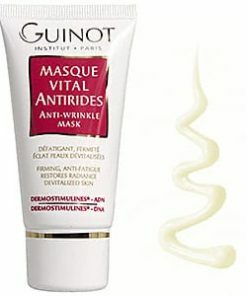 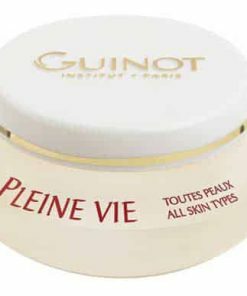 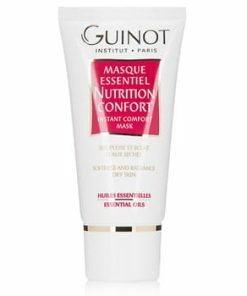 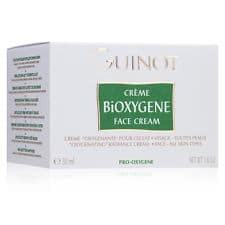 Guinot Longue Vie Corps – Vital Body Youth Care Firming Cream – 6.8 oz. 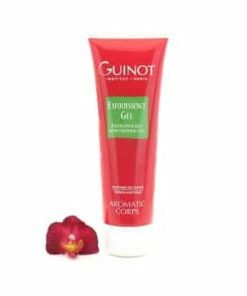 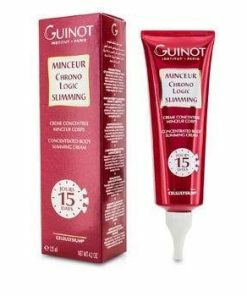 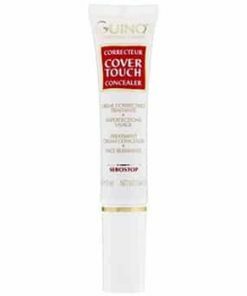 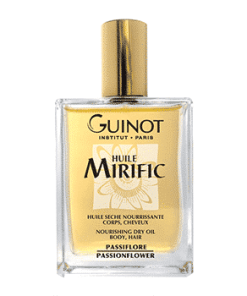 Guinot Huile Mirific Nourishing Dry Oil for Body & Hair – 3.3 oz. 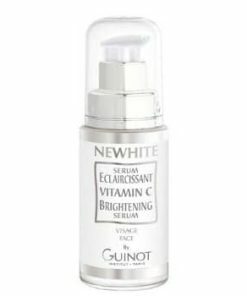 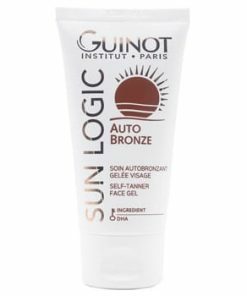 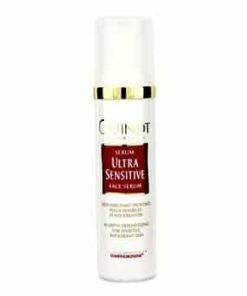 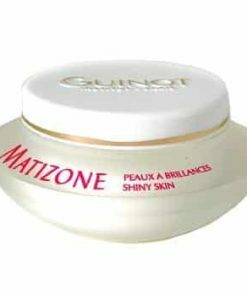 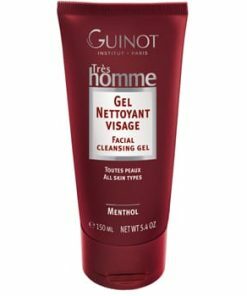 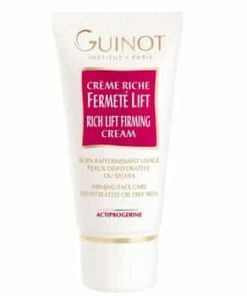 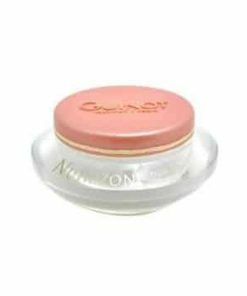 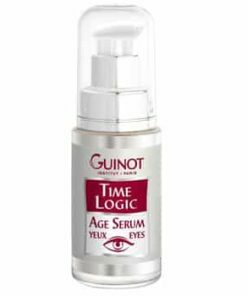 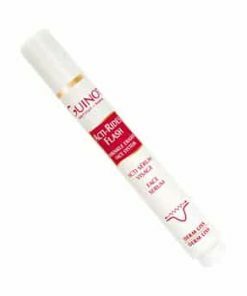 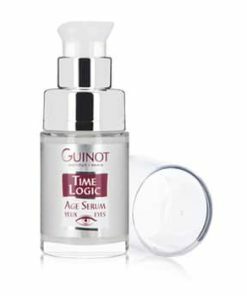 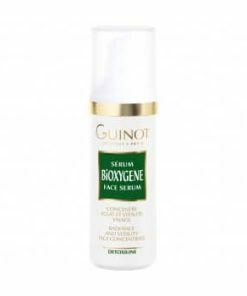 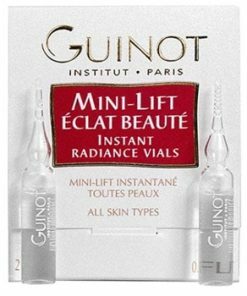 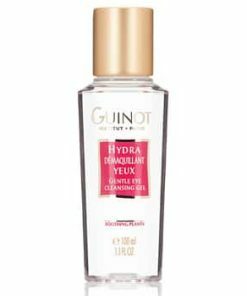 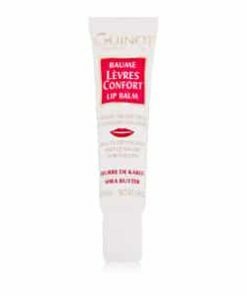 Guinot Liftosome Lift Firming Face Serum – 1.03 oz.